Nowadays, most SEO practitioners focus their efforts on link building and content creation. Afterall, with the ever-changing algorithm of the social media networks and search engines, it only makes sense for them to do so. However, despite the popularity of content creation and link building, there is one crucial aspect about running a digital marketing campaign that you should never leave out: keyword research. One thing that marketers need to know: your keywords play a crucial role in your marketing strategies since these ensure the marketing campaigns you create targets the right people. When you use the right keywords with your SEO, PPC, and content marketing strategies, you’ll be able to target potential customers or subscribers to your business. Right now, you may be thinking that keyword research is such a tedious task. On the contrary, this article will prove to you otherwise. With the right tools and knowledge, you can gather a number of keywords in less than 30 minutes. And in the digital marketing industry, time is of the essence. Each second matters and you need to be on top of your toes at all times. This is where you’ll learn the Marketer’s 30-Minute Keyword Research Challenge, which will help you make the most out of your keyword research efforts. 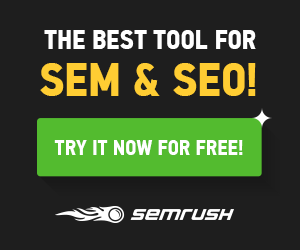 How do you choose a keyword research tool? Before starting this challenge, you’ll need to have a keyword research tool that works fast and efficient. Even though there are so many tools available right now, we recommend that you check out Ubersuggest. As we move along with this challenge, we’ll explain the reasons why we believe this is a great tool to use. One important reason is that Ubersuggest is free to use. Unlike many other keyword research tools available, you won’t need to register for an account before you can unlock its features. Now that you have a good tool with you, the next step is identifying what your “seed keyword” is. You can then set up your phone’s timer so you can see how fast it is that you can gather keywords to use. If you’re ready, let’s move to the first part of the challenge. The first thing you need to do with your keyword research is to expand your seed keyword. You will have to dedicate the next 10 minutes to this task so you can see how easy it is. You just need to enter a keyword into the “Look Up” box. Ubersuggest will then do its part and present you hundreds of suggested keywords within seconds. For example, let’s use pretend that you are a freelance writer. Use “freelance writer” as your seed keyword. Usually, the exact match keyword will be too competitive for the smaller brands. This, however, is not the case. How Ubersuggest works is it measures a keyword’s competitiveness on a scale of 0.0 to 1.0. For the seed keyword we used, the competitiveness rating is 0.42. If you’re running a startup business with a decent budget, this is already a reasonable rating. Let’s move to the keyword suggestions. The seed keyword we use produced a total of 810 keyword suggestions. You can now use these suggested keywords to look for better options. Looking through the first page alone, you’ll be able to spot a couple of terms that are worthwhile. It’s important to know, however, that the results may sometimes be a mixed bag. You may end up having too competitive suggestions and others that do not have enough search volume. Your role is to look for the sweet spot from the combination of keyword competitiveness, search volume, and user intent. In our case, you have a lot of options to use. This keyword suggestion has a high commercial intent and a competitiveness rating that we can work with. It’s easy to think that 1600 average monthly search volume is not enough. But you have to remember that just one client of a freelance writer can already provide a profit worth hundreds or thousands. You can take a look at some of the other suggestions. Once you have chosen your top keyword suggestions, make sure to click “Export to CSV” at the bottom of the list. For this guide’s sake, let’s go with the five suggestions we’ve already selected. Later on, you can scroll to the bottom and choose as many keyword suggestions that you prefer. In just 10 minutes, you already have a number of keywords on your list. What you have to understand about keyword research is that you don’t have to use all the top keywords that you get. Your job is to identify which of these top keywords will likely give you the most potential throughout your marketing campaign period. With the help of Ubersuggest, you can easily see a keyword’s monthly search performance by hovering your mouse over the bar graph icon next to the keyword suggestion’s search volume number. Using our “article writing” keyword, you can already see that it consistently has an overall high search volume performance from the previous months. You can also check with the second keyword, although there are some noticeable declines in searches during the month of June. Even though 1300 is a feasible number, you need to consider a keyword’s inconsistencies too. There are also some inconsistencies on the third and fourth keywords, but they can be considered promising. Using these 5 keywords, you won’t take up over 5 minutes or 1 minute per keyword to complete your keyword research process. This means that you can process 10 keywords in 10 minutes easily. At this point, you’ll already be able to pick out the most promising keywords from your list. Only this time, let’s refine the search with “article writing” as our new seed keyword. This will give you a new batch of keyword opportunities. Your job is to look for even better options in the next 5 minutes. Make sure you look at the commercial intent and search volume. By now, you already know that when you expand your top keywords, you’ll be able to find newer keyword ideas that you can use. But since you already have a number of top keywords, you won’t need to spend so much time on this one. Right now, you are down to the last 5 minutes of the keyword research challenge. At this point, we can finish the Marketer’s 30-Minute Keyword Research Challenge by looking for your direct competitors. You won’t need to use a particular technique to look for them. All you have to do is conduct a quick Google search so you can see which websites are performing well in your niche. You can use any of the top keywords we picked out earlier to determine who your direct competitors are. When doing competitor analysis, one thing you should focus on is their content. Even though keyword research is considered as a significant foundation of digital marketing, you have to keep in mind that Google and the other search engines now prioritize relevant content related to search queries. This means that it’s not enough that you have really good keywords in your niche. You need to make sure that the content you create ranks better in Google SERP. Now that the 30-Minute Keyword Research Challenge is completed, I hope you were able to learn how to look for profitable keywords. Again, time is of the essence in digital marketing. Every minute you spend watching YouTube videos trying to learn keyword research techniques, your competitors may already be applying the lessons that you have learned from this challenge. Hopefully, you were inspired by the Marketer’s 30-Minute Keyword Research Challenge to pay more attention to how you do your keyword research and that you apply it to your business. Cheers!